Tour of Idaho Tested, Tour of Idaho Approved. 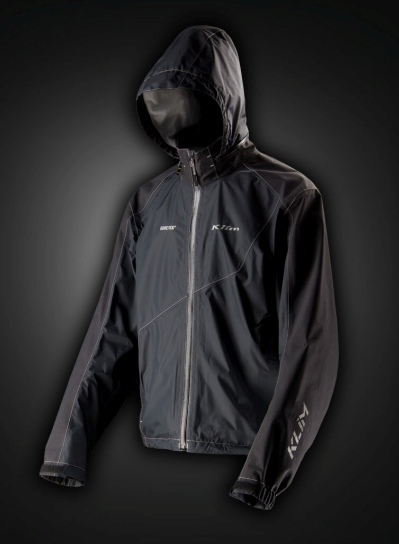 Gear from KLIM, GUTS Racing, SPOT, Giant Loop, Motion Pro and OGIO that will get you through. The Tour of Idaho is our ultimate test track. If gear can withstand 1433 miles and seven days of persistent, flagrant abuse, we figure that it's pretty good stuff. The following is our evaluation of a few items we found to perform in a particularly meritorious manner during the 2012 Tour. I am choosing to include only items in this review that have nothing to do with mechanically making the bike go forward (i.e., oil coolers, aftermarket tanks, etc). For those see our bike reviews. KLIM F4 Helmet KLIM provided us with a F4 helmet for use on the Tour. 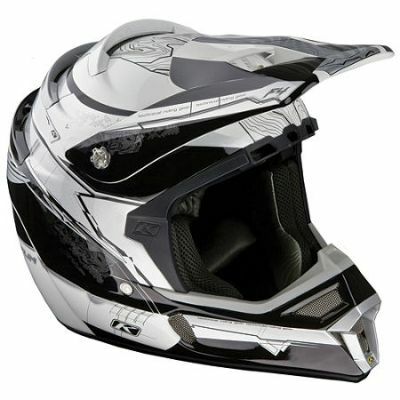 After wearing it for seven very hot days, I'm convinced that the only reason it isn't one of the most popular off road helmets around is that it looks too weird to appeal to the MX logo and clown shirt set. To wear one is to want one. The ventilation afforded by the multiple vents and plenums in the F4 is amazing. The F4 flows rivers of cool air - even at a walking pace. When you sweat inside the F4 it flows so much air that the sweat quickly evaporates and your head cools like it's air-conditioned. It's really your best friend in hot weather. On the second day of the Tour, I crossed the desert between American Falls and Big Southern Butte in 110 degree heat. The first part of this desert stage features narrow trails that wind through dunes where it's difficult to maintain speeds above 20 mph. At one point I found an old, rusty livestock watering trough in the middle of nowhere that had a foot of the nastiest, tepid water imaginable and I dunked myself in it like a pool at a palm tree lined oasis. That's pretty hot terrain. Fortunately the F4 provides plenty of ventilation even at low speeds. I honestly don't know if I'd have made it, without passing out, in any other lid. 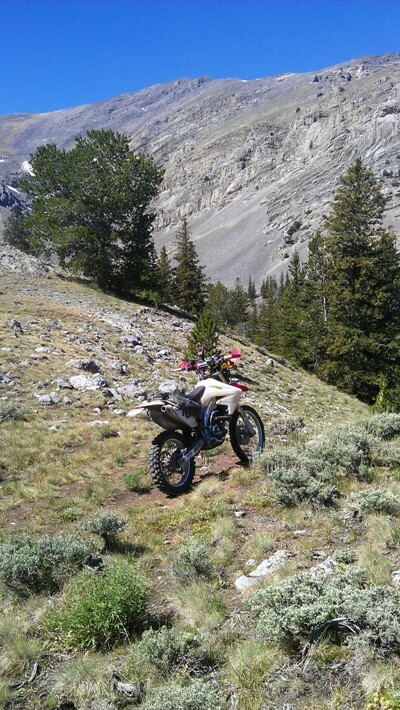 Last year I rode the Tour in KLIM Mojave pants. Though the Mojave pant provides excellent ventilation and surprising versatility when combined with a set of compression shorts, the prospects of a night or two out in the rugged mountains of central Idaho in ventilated pantaloons was enough to make me switch to the Leatherman tool of riding kex, KLIM Dakars. The Dakar Pant provides 90% of the ventilation of the Mojave and is practically as comfortable in bright sunlight in light grey. The difference occurs when the ample vents are zipped shut. The Dakars then provide a level of versatility in handling cold that the Mojave's do not. 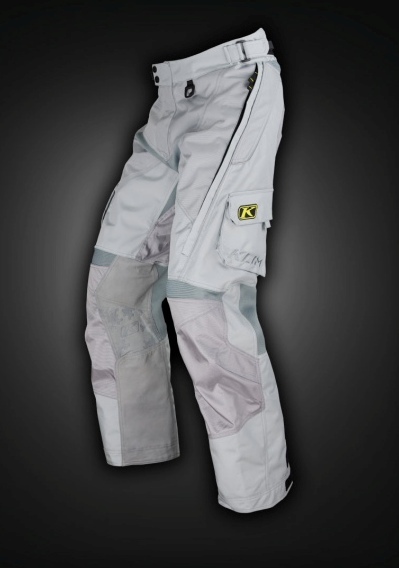 KLIM provided us with a set of prototype Dakars that had zip off lower legs. These are great if you are looking to save all the weight you can (which we are) and need to have your riding pants double as walk arounds at the end of the day - and even more so if you have to hike out of somewhere. The Dakars did not disappoint. These are serious, utilitarian garments, which happen to also be very affordable, that will do you right in a variety of circumstances. Festooned with useful features, comfortable, durable and easy to get on and off with and over gear, Dakars are my favorite off road pant. This year my Dakars survived get offs into rocks, that would have shredded most MX clown pants, with only one small rip in a leather panel. As the sun went down each day I was usually able to zip the vents closed without even slowing down. The difference in the warmth of the pant with the vents open and closed is dramatic. When the preminisced night on the ground beside the trail did finally materialize, the Dakars were warm enough under a space blanket to ward off temperatures that dropped into the low 40's. I hope that KLIM brings the zip off leg Dakar to their catalog next year. The "Tour of Idaho" model has a nice ring to it - don't you think? KLIM Stowaway Jacket The KLIM Stowaway Jacket certainly earned its keep on this year's Tour. The Stowaway is a lightweight waterproof, breathable shell constructed from layers of Gore Tex® and ripstop nylon. It's lined, and has a micro fleece collar that is very functional and is vented as well. The Stowaway even packs into a very compact space for storage. The Tour of Idaho encompasses extremes. You might be riding through a desert in temperatures of over 100 degrees one moment, then, a short time later, freezing in a drizzle on a mountain pass. The Stowaway was my 60-second solution to this problem. Every time the sun went down the Stowaway came out. I even used the hood under my F4 helmet as a substitute for the Windstopper liner KLIM provides with F4 that I failed to bring. I rode hundreds of miles through brush and snags in this jacket, crashed while wearing it a few times, and even bivied in it. It worked in rain and cold and was well-vented enough that I could ride up and down passes at night, with wild swings in temperature, while wearing it. 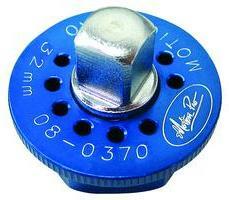 I would no longer even consider doing any long ride without packing my Stowaway. It's versatile, functional, extremely tough and comfortable. The KLIM Vented Sock also proved to be my personal favorite. Though the KLIM's pill a little more quickly than the SIDI socks I swapped them out with from day to day, they were more comfortable and did a better job of handling the sweat from my feet in my SIDI boots. 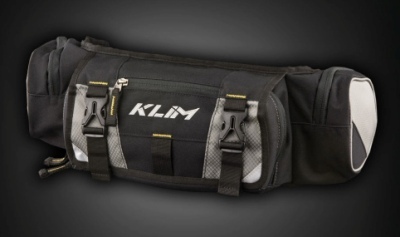 Finally from KLIM, the Scramble Pak. I was looking for something specifically to store electronics (cameras, smart phones, etc.) and personal items in that would be adequately accessible and have enough compartments that I could organize things to my liking. I considered just grabbing one of my old hiking fanny packs off the shelf and using them and I'm really glad that I did not. The Scramble Pak is made specifically for riding use and brims with thoughtful features in design and construction that yield big dividends in use. Since I was using an OGIO Flight Vest and a Giant Loop MoJavi bag, I couldn't get the Scramble to work when worn as a fanny pack - so I turned it around and wore it front first. It was perfect. Everything I needed was quickly accessible, even with gloves, and the pack is so well-designed that it didn't move around or shift even when worn backward. The Scramble is another item I won't be leaving behind that much anymore. I'm not much on aftermarket "comfort" seats as I prefer to stand on my pegs most of the time I'm riding. But 1433 miles is a long way on a dirt bike and there will be times droning down a dirt road when sitting is the best way to pass the distance. I ordered up new thicker and wider seat foam and a gripper cover from GUTS Racing, and was very pleased with the performance of the refurbished seat.The folks at GUTS racing are among the nicest and most professional we've ever dealt with over the phone and we recommend them very highly to you. Installation of the seat foam and cover was easy and the seat is still in great shape even after a cartwheeling crash into a creek that made my wheels not round anymore. 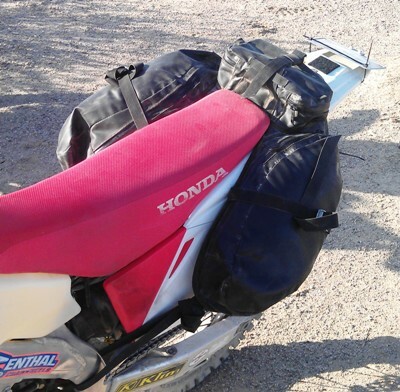 In our recent review of the Giant Loop MoJavi bag, we opined that the GLM was possibly the best bag ever made for adventure touring on dirt bikes. After this year's Tour we are even more convinced of the validity of this view. Giant Loop is to be commended for designing and building the best single piece of motorcycle luggage, in its niche, I've ever used. The bag is functional, durable like you would not believe and so well-designed we can find only nits to cast dispersions at (stiff zippers). Experiential research as shown us that things don't get wet inside waterproof Giant Loop bags even when the bags and the bike they are fastened to are fully immersed in icy cold stream water. The best case I can make for Giant Loop products is to compare my experience with them to that of a another rider I encountered along the way who was using MoJavi knock-offs. I am not sure that I'd have made it across the desert on day 2 were it not for the fortuitous trail of water bottles, snacks and cool wipes I found scattered though the sand dunes from bags, as it turned out, that were disintegrating in the heat. When I finally overtook this rider his Tour of Idaho was done - largely because his cheap knockoff bags turned out to perform like cheap knockoff bags. Do yourself a favor, avoid ersatz and get Giant Loop bags. Or get used to supplying the rest of the world with swag. My SPOT Connect performed flawlessly, as usual. I have used every iteration of SPOT devices and the Connect is far and away my favorite.The SPOT Connect is really a poor person's one-way satellite phone.The ability to upload messages, and to verify that they were received by the satellite network and transmitted to everyone on your recipient list, is just priceless in remote wilderness settings. I was even able to keep everyone on my Facebook page apprised of my location and condition via text messages - 41 characters at a time. When I was going to be very late getting to the next town (frequently) it was comforting to my family to get a text message letting them know that the nightly phone call was going to be late, but that everything was otherwise OK. The only deficit of the SPOT Connect is that it's hard on batteries in track mode. That, however seems a small price to pay for the ability to reach out from the middle of nowhere to friends, family, ambulance and/or tow truck drivers. A feature of the entire SPOT program that doesn't get nearly the attention it deserves is the quality of assistance you get whenever you need to pick up the phone and call someone. The folks at the other end of the phone at SPOT are among the most professional, courteous and helpful people I've ever dealt with in a service situation. I have no problem subscribing to the full slate of SPOT services because they are worth the money and the people on the other end of the line are there to help you when you need it. Only a complete knucklehead would set off on the Tour of Idaho without some sort of emergency beacon or satellite phone. It could be days before someone came along and found you after a mishap in large sections of the Tour. Until satellite phones and service plans get down to a few hundred bucks a year it's going to be very difficult to beat the SPOT Connect for quality, reliability and affordability. When every gram counts (and size matters), the Motion Pro Tool website is an invaluable resource. After modifying my bike to reduce the number of different fastener sizes and standardize everything as much as possible, I managed to put together an extremely lightweight tool kit from Motion Pro that was more than adequate for my needs. Motion Pro makes some phenomenally lightweight tools that perform double duty - like the tire iron/axle box wrench show here. Their website is full of such useful appurtenances. Motion Pro Tools are not cheap in any sense of the word. 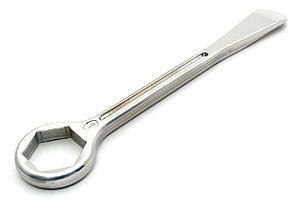 But when you really need tools that are very light, yet very reliable, there are few peers. The prospect of having to depend on low-grade imported tools to fix a bike in the middle of nowhere is too awful to even consider. 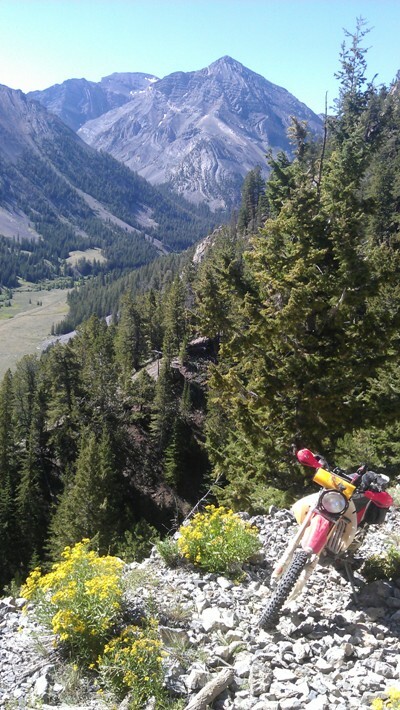 I'm certain that you'd rue the money saved on cheap tools the first time you rounded off a bolt head with a crummy socket, at night, thirty miles into a single track trail in the mountains somewhere - especially when it started snowing. Do yourself a favor and avoid this scenario. Last, but certainly not least, is our old, reliable OGIO Flight Vest - one of the first items we reviewed here at MoJazz four years ago. Our original was starting to show signs of wear after years of use so we bought a new one just before the Tour. 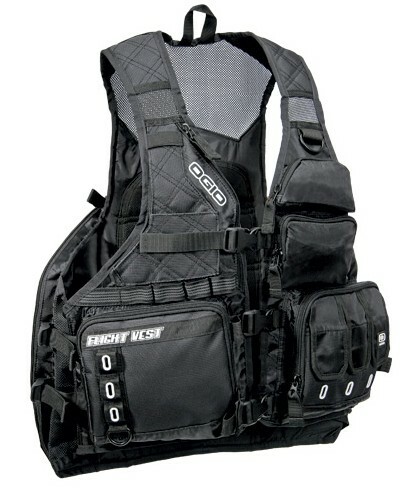 OGIO has changed very little about the Flight Vest (nothing substantial) and for good reason - the thing flat out works. I was able to pack everything I needed for the Tour in my OGIO vest, KLIM Scramble Pak and Giant Loop MoJavi bag with room to spare (this came in handy for collecting fresh water bottles and Cliff Bars miraculously strewn across the desert). If it ain't broke, don't fix it, sayeth the wise. OGIO's got a great product in the Flight Vest and I anticipate continuing to use one for years to come.